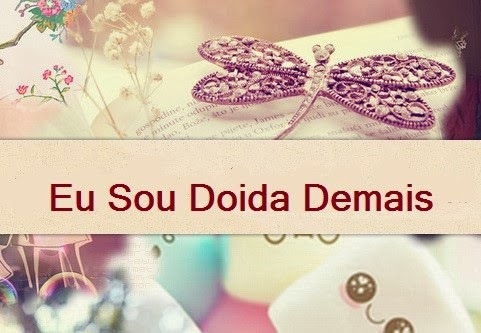 While ago we had some new members joining our letter project and one of them was Catherine (France). One of her first letters in We Heart Mail was to Zane (Latvia) - everything about flowers and spring! 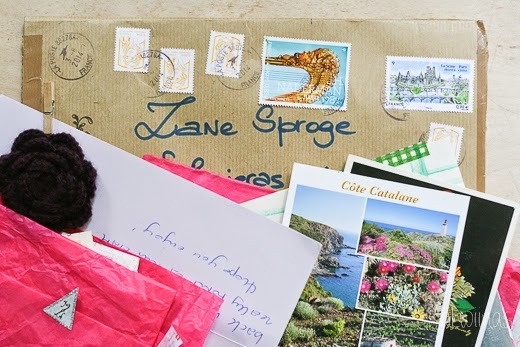 While spending not so long time in our swap project, Catherine put together a perfect package to Zane, starting with wonderful stamp from Europe CEPT collection 2014, she was looking for. 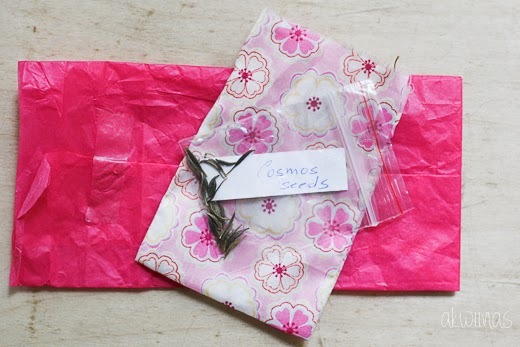 Everything nicely packed, even seeds to one of the most beautiful flowers - Cosmos. 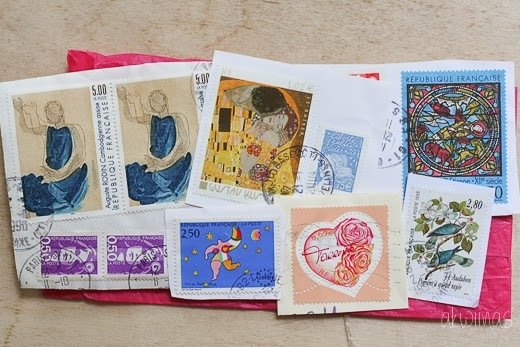 France is is not only country of the most romantic city in the world, but country of really beautiful stamps as well. 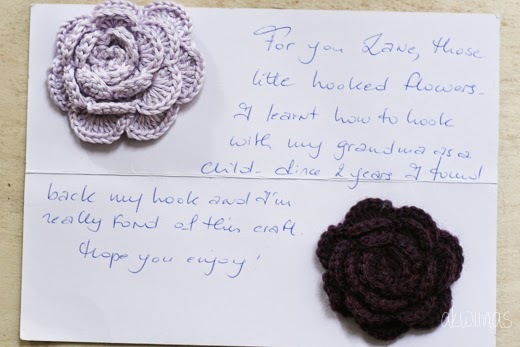 These two crochet flowers are really nice brooches which are perfect to bright up everyday coat! 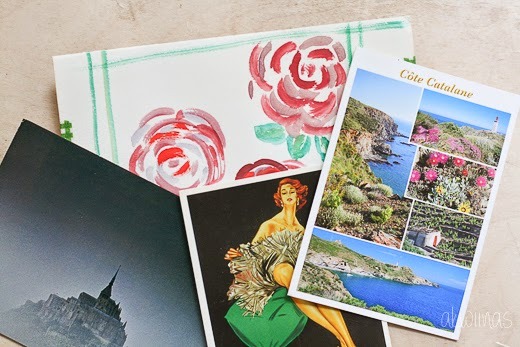 Zane is collecting postcards from all over the world, so letter, written on three separated postcards was a real gem for her! 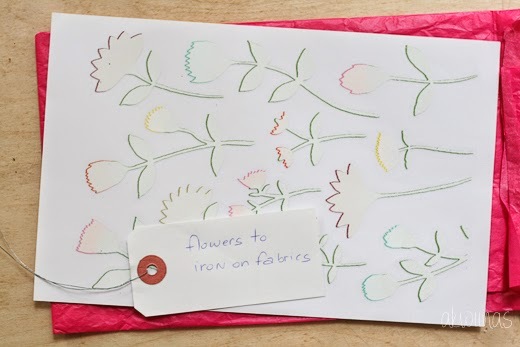 And last but not least - a page of flowers to iron on fabric! This letter made her recipient really happy, see Zane's post about it on her blog here!